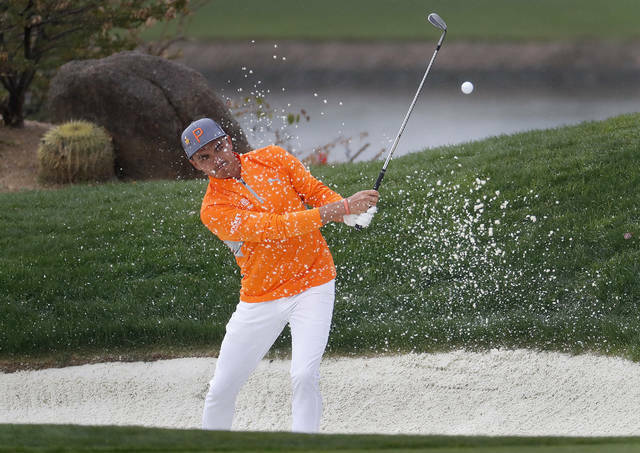 SCOTTSDALE, Ariz. (AP) — Standing above a greenside bunker at TPC Scottsdale’s difficult par-4 11th hole, Rickie Fowler turned just in time to see his ball, one he had just placed after penalty, trickle into the water. 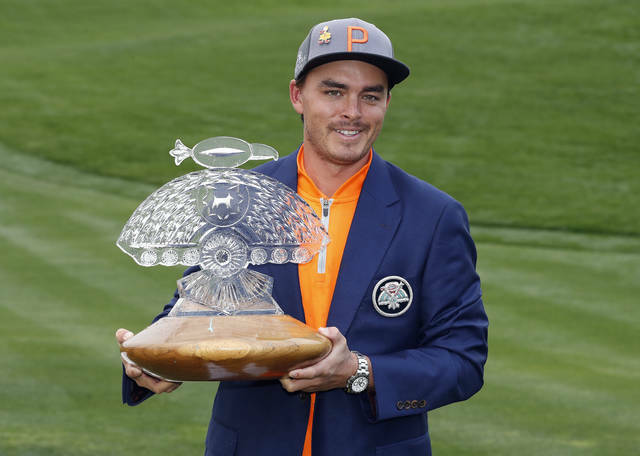 Fowler had another over-par round with a 54-hole lead — he’s 7 for 7 there — but birdied two of his final four holes to win from the third-round lead for the second time, with the 2017 Honda Classic the other. PGA Tour rules official Slugger White determined Fowler’s ball was in play after the drop, so he was assessed a one-shot penalty. Fowler got up-and-down from there, knocking in a 17-foot putt for triple-bogey 7 — his seventh double bogey or worse when playing with a 54-hole lead.